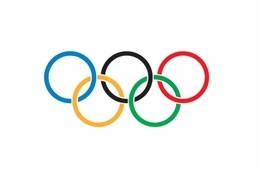 The Olympic symbol consists of five interlaced rings of equal dimensions (the Olympic rings), used alone, in one or in five different colours, which are, from left to right, blue, yellow, black, green and red. The rings are interlaced from left to right; the blue, black and red rings are situated at the top, the yellow and green rings at the bottom in accordance with the following graphic reproduction. 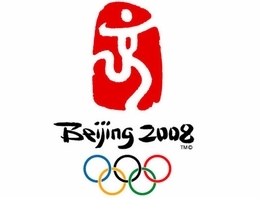 The Olympic symbol expresses the activity of the Olympic Movement and represents the union of the five continents and the meeting of athletes from throughout the world at the Olympic Games.